Apple's senior vice president of Worldwide Product Marketing, Phil Schiller, noted that the screen on the new iPad has more pixels than a 1080p television. Packing in 264 pixels per inch, the pixels cannot be distinguished by human eye at a distance of 15 inches. The new iPad also has a much improved, 5 megapixel camera. "The new iPad redefines the category Apple created less than two years ago, delivering the most amazing experience people have ever had with technology," Schiller said. "The new iPad now has the highest resolution display ever seen on a mobile device with 3.1 million pixels, delivering razor sharp text and unbelievable detail in photos and videos." It's slightly heavier than the iPad 2, weighing 1.4 pounds. The body is 9.4mm thin. iMovie for iOS has also been updated, adding storyboards and new editing capabilities. It's still $4.99 and a free update for those who already own. 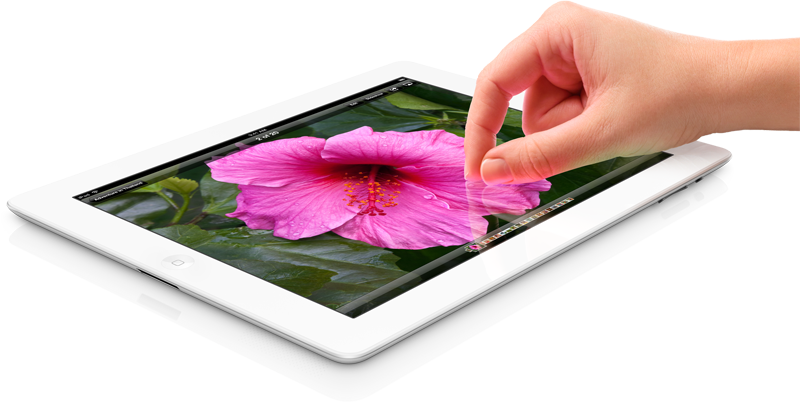 To take advantage of the Retina Display, Apple has updated all of the built-in iPad applications. In addition, existing applications will be scaled up to the new resolution, and text will automatically be rendered in higher resolution. Highlighted at Wednesday's keynote was a game from Namco: Sky Gamblers. The sky combat game was used to show off the iPad's high-resolution display. Also demonstrated was Autodesk's "Sketchbook Ink," a new drawing application that focuses on line art. 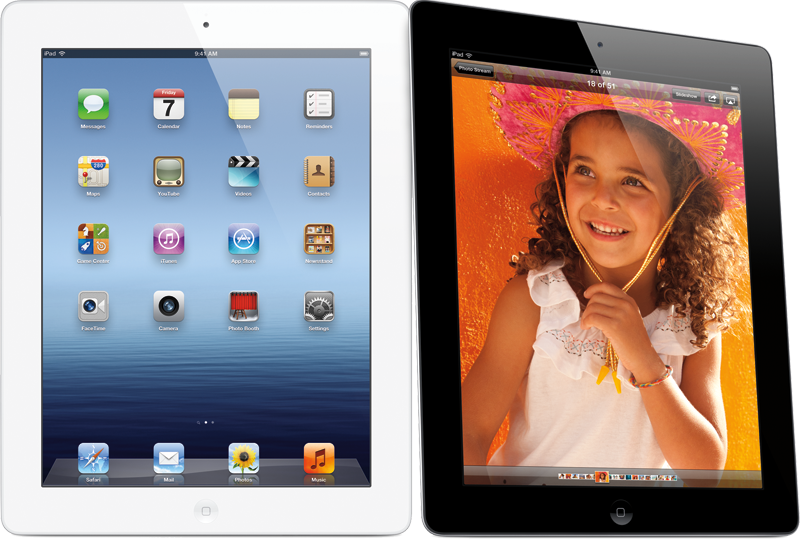 Using the graphics power of the new iPad, it will allow users to export images greater than 100 megapixels in size. Epic Games was also unhand to show off "Infinity Blade: Dungeons," a new game that takes advantage of the graphical power of the latest iPad. It features HDR graphics and tone mapping. The new iPad Wi-Fi models will be available in black or white on Friday, March 16 for a suggested retail price of $499 (US) for the 16GB model, $599 (US) for the 32GB model and $699 (US) for the 64GB model. iPad Wi-Fi + 4G for either AT&T or Verizon will be available for a suggested retail price of $629 (US) for the 16GB model, $729 (US) for the 32GB model and $829 (US) for the 64GB model. iPad will be sold in the US through the Apple Store, Apples retail stores, and select Apple Authorized Resellers. iPad will also be available in Australia, Canada, France, Germany, Hong Kong, Japan, Puerto Rico, Singapore, Switzerland, UK and the US Virgin Islands on Friday, March 16. Customers can begin pre-ordering their new iPad today, and the iPad 2 is now offered for $399 (US) for the 16GB Wi-Fi model and $529 (US) for the 16GB Wi-Fi + 3G model.